I am a big movie fan, to be more accurate, I am a big movie star fan, I love a good red carpet fashion parade. I adore a show of sequins and ruffles, and there is no better red carpet show than the Academe Awards! I stayed up late last night watching the event and wanted to share some of my favourite frocks and suits with you. Great to seeing some delicious curves rocking the red carpet this year. 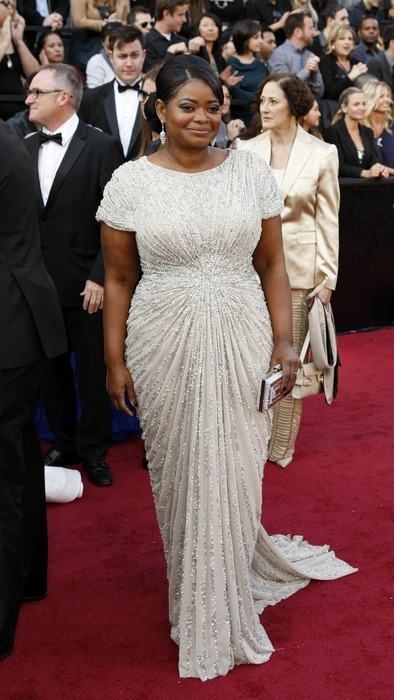 I adore Octavia Spencer's dress by designer Tadashi Shoji. Super flattering! 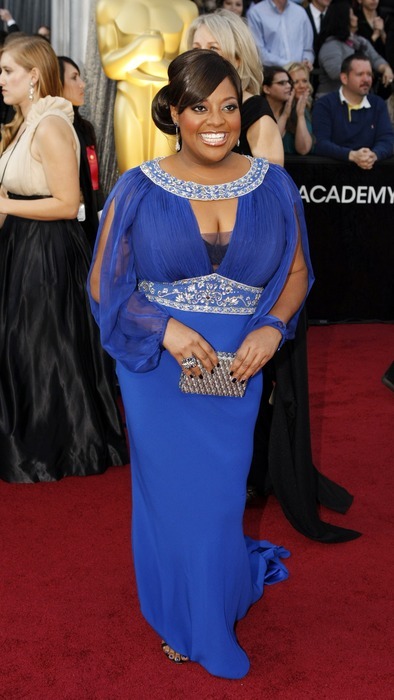 Love the electric blue of Sherri Shepard's gown, and I liked the style of Melissa McCarthy's Marina Rinaldi gown although I don't think the colour was the best choice, but gorgeous hair and make-up. Then there are the boys, my favourite, Mr Quinto was rocking his DJ! Mr Clooney looked his gorgeous self, didn't need to pick up an Oscar, he already had Stacy Keibler Looking HOT in Gold Marchesa. Lots of love for the Peplum this year with Tina Fey in Carolina Herrera and Michelle Williams in a red Lace Louis Vuitton. Unfortunately doing what her character did in Bridesmaids, Rose Byrne outshone her in a backless Vivienne Westwood creation. My Favourite Lady was Glenn Close In Zac Posen, with the exception of the embroidery on the train (perfect example of guiding the Lilly), I LOVE the colour, the fishtail the detailing in the bodice, the jacket.... need I go on, Divine!! 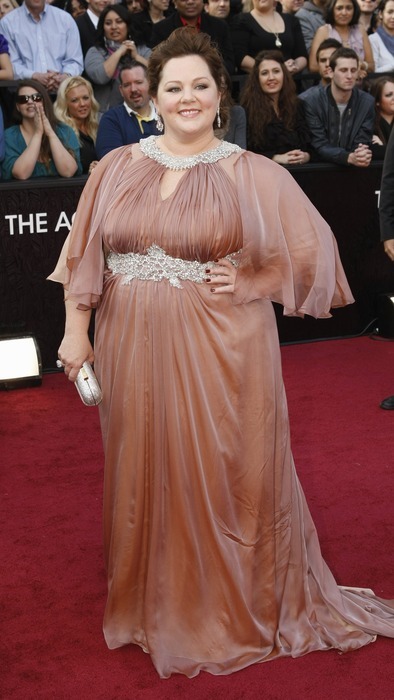 Images Courtesy of http://oscar.go.com and http://www.dailymail.co.uk check them both out for more divine red carpet action. Love it Red Carpet Style!